Per night from $100 to $175 depending on suite and season (2017-2018) no taxes! Check out the two websites above. Executive style accommodations with affordable rates. Log King Bed in the upper suite. 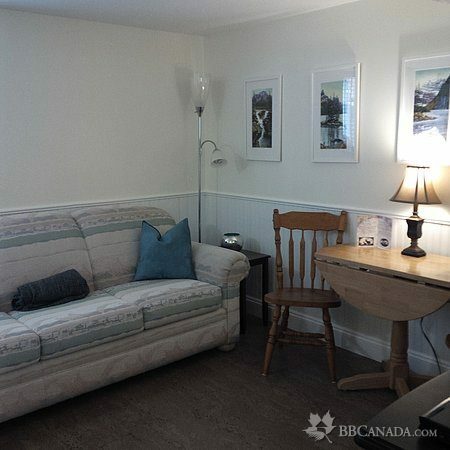 Private suite with patio in our newly renovated home minutes from downtown, train/bus station and trails. 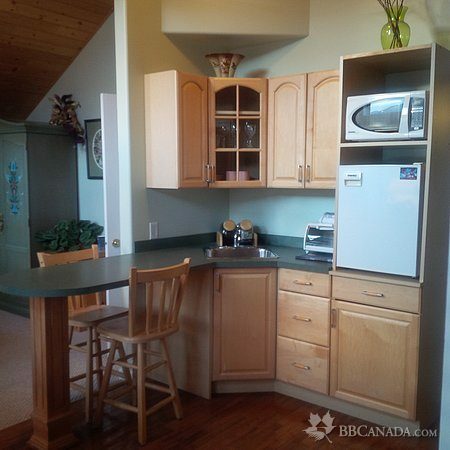 Fully equipped kitchenette,TV for your convenience. Plus complimentary coffee and tea. No breakfast. 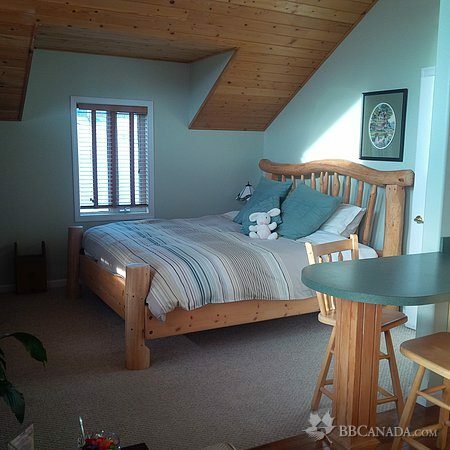 Open all year round and great lodging, for skiing or hiking. 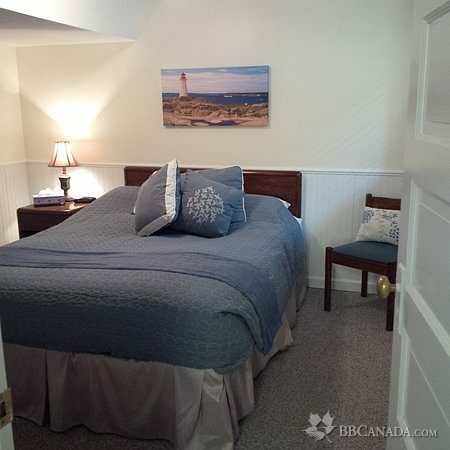 Both apartments assures the utmost in privacy with private entrance and private bath with shower. 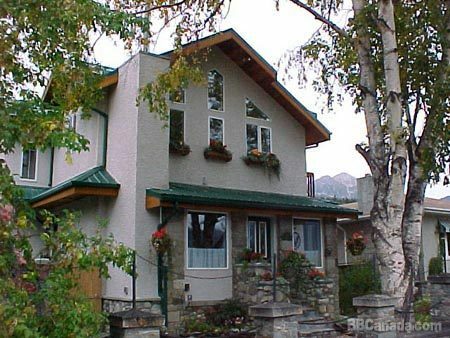 Your hosts are avid hikers and skiers and well knowledged on the special sites of Jasper. We can also recommend Delicious Restaurants. Deutsche is spoken by Angelica. Our Upper Signal suite offers valeted pine ceilings, spacious, with large windows. Our Pyramid suite, although a basement suite is quiet, warm and very bright. Call us toll free in North America at 888 852-5260. Check In/Check Out : Check in after 4 pm. Early check in upon request. Check out before 11 am.